This past week, I sent an E-blast out to my essential oils subscribers discussing some cool studies on rosemary oil. Below is the E-blast revised preview provided online as an exclusive to my Saratoga.com readers. I then expand more on the topic of this beautiful aromatic oil on my current homepage blog here. I am an avid follower of some of the pioneers in natural medicine, such as Dr. Mercola, and more recently, Dr. Eric Z. Recently, both of these health warriors happened to visit my inbox via their articles on rosemary oil in quick succession. (See the links below.) Whenever something like this happens, I pay attention to it. I feel it could be a prodding to explore deeper on a subject and share what I learn with my readers. As it so happened, I found that this popular oil was, in fact, missing from my essential oil database! (I do; however, at least reference it for brain health here). So, as with any blog or article on essential oils, I went through all the references listed at the end. I do this in order to dig deeper into my understanding and improve my clinical expertise with these precious secondary metabolites. I found some great studies and did some more research myself. One thing that can get confusing with essential oils blogs is when references to studies are on the extracts of the herb verses the essential oil, which may have different active constituents. I have been caught in this mistake a few times myself. Therefore, these blogs will continue to focus on the oil itself. The connection was strengthened. We know that essential oils have a profound effect on the brain, which you can read more about here and here. I then remembered a 2009 study in Psychogeriatrics which demonstrated how aromatherapy can help those who need brain support, and it used rosemary as one of the oils in the trial. OBJECTIVE: Recently, the importance of non-pharmacological therapies for dementia has come to the fore. 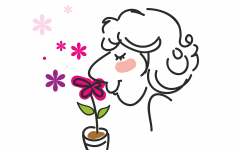 In the present study, we examined the curative effects of aromatherapy in dementia in 28 elderly people, 17 of whom had Alzheimer’s disease (AD). METHODS: After a control period of 28 days, aromatherapy was performed over the following 28 days, with a wash out period of another 28 days. Aromatherapy consisted of the use of rosemary and lemon essential oils in the morning, and lavender and orange in the evening. To determine the effects of aromatherapy, patients were evaluated using the Japanese version of the Gottfries, Brane, Steen scale (GBSS-J), Functional Assessment Staging of Alzheimer’s disease (FAST), a revised version of Hasegawa’s Dementia Scale (HDS-R), and the Touch Panel-type Dementia Assessment Scale (TDAS) four times: before the control period, after the control period, after aromatherapy, and after the washout period. I have seen profound effects with integrating aromatherapy and essential oils in my practice. This holds true in all areas of wellness and in those who complain of memory issues and mood imbalances. I find diffusing, inhalation, and topical applications particularly effective for brain support, as the sense of smell is powerful for emotions and cognition. Here’s a link to a previous blog with some applications on using essential oils for emotions and brain health. (Note, make sure you read the labels to determine which oils are safe for ingestion).